Earlier this week I did a day of supply teaching in a class I haven’t taught yet this year. The teaching assistant was new to the school and obviously hadn’t met me before, despite the fact that I’ve taught there many times over the past year and know lots of the children. That didn’t prevent her from passing judgement on my pregnant figure, though! I’m not sure quite how I managed to feel quite so rubbish when she said so few words, but the effect of those words (and the accompanying facial expressions!) has stayed with me since. It’s made me feel ashamed of my bump when I should be proud that I’m growing another mini human. “When are you due? Oh.. I assumed it was this side of Christmas” and “Wow you look tired, pregnancy is really taking it out of you isn’t it?” Both came from people I don’t really know! In the same day when I was about halfway through my pregnancy I had one person telling me I was massive and I should get measured to check everything was ok and another saying how small my bump was for my due date. Talk about messing with your mind! “Isn’t pregnancy wonderful though?”. I was on crutches from bad SPD, had pre-natal depression and was checking my blood sugar after every meal due to gestational diabetes. People get super uncomfortable when you say that you don’t enjoy pregnancy, as if it means you don’t appreciate that you’re about to become a Mum. Whenever someone asks if I’m expecting my first, and I reply with ‘no this is my third…’ I instantly get shocked / disapproving looks or a ‘HAHA good luck!’ thrown at me. As if I wasn’t already worried about how much harder it’s going to be! I had the amazing – “are you expecting twins? No, oh my daughter is as far along as you and she is much smaller! You must have eaten a lot of mince pies over Christmas, dear!” If the lady hadn’t been a very important donor at the charity I worked for then I may have hit her. 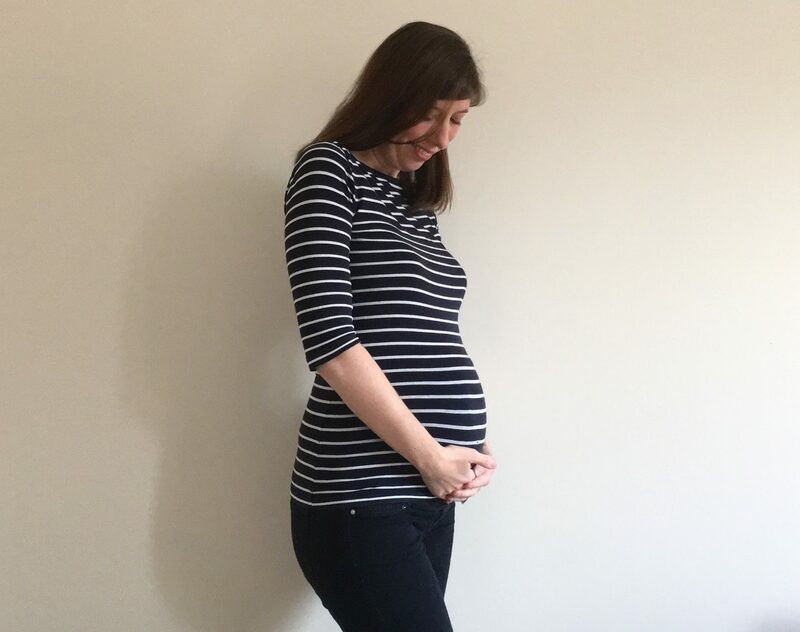 Whilst I was pregnant with my son (second child), a colleague was also pregnant due around the same time as myself (but with her first baby). After returning from annual leave she came into my office and said ‘I can’t believe how big you are, you look like a whale compared to me’ – to my face! Needless to say, I sobbed in the toilets whilst my other colleagues politely told her to keep her mouth shut. Have you ever been insulted by a stranger when pregnant? I’d love to hear your experiences in the comments so that we can roll our eyes together! "Bath Time Cuddles with the Cuddledry Handsfree Towel"
Strangers always used to tell me how big I looked with my daughter. To be fair, she turned out to be 9lb14 but still not what you want to hear!! Little M was 6lb 2oz and I keep being told I’ll likely have another small baby. My father in law (lovely man that he is) thinks that they’ve made a mistake and I’m growing twins! The cheek! I hope the comments has not put you down too much as you are doing an amazing job by growing a little baby in you. Being pregnant can make you more emotional than usual so just hang in there. Seems like she probably just wanted to make small talk and said the wrong thing. Hugs to you. Thank you. You might be right! I think it might have been her general demeanour as she said a couple of other things that made me raise my eyebrows, but they weren’t pregnancy-related! I congratulated a still pregnant woman on her new baby the other day so I’m clearly one of those foot in mouth people! Haha I’d take that as a compliment! I can’t figure out why people think its ok to comment on pregnant women’s bodies at all. The only thing to say is “you look great!” Anything else is overstepping or insulting. Great that you wrote this though so we can have a laugh about it now!